What do fashion designers and famous clothing brands such as Jimmy Choo®, Christian Dior®, Louis Vuitton® and Crocs® have in common? Fashion designers face multiple challenges, not the least of which are rapidly changing styles and the outright theft of design ideas. Many fashion houses, particularly startups, choose to protect their brands through the robust use of trademarks. If appropriate, such protective strategies can and should be complemented by the strategic use of patents. 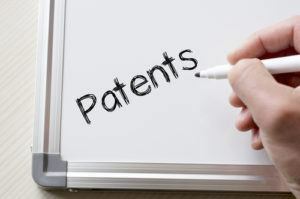 In light of two recent changes in the patent ecosystem, the case of patent protection has become even more compelling. What do fashion designers and famous clothing brands such as Jimmy Choo®, Christian Dior®, Louis Vuitton® and Crocs® have in common? In addition to having valuable trademarks to protect their brand, they also defend their signature, innovative clothing, and accessories with patents. This clause in Section 8 of Article 1 created the Patent Office and the Copyright Office of the Library of Congress. Unfortunately, the protection afforded by copyright law in the United States is generally not available for fashion and clothing designers. Under many circumstances, however, patent law can provide designers with protection that is not available through copyright. The U.S. Patent and Trademark Office (USPTO) issues two types of patents for clothing and accessories: design patents and utility patents. Design patents protect how something appears, including its shape, configuration, or surface ornamentation. In many countries, this type of intellectual property is referred to as an industrial design registration. Utility patents protect the way an article is used and works; it includes processes and methods. Both design and utility patents may be obtained on the same article. Utility patents far outnumber design patents. Every year, the USPTO receives approximately 35,000 design patent applications compared to over a half million utility patent applications. There are approximately 826,000 issued design patents and over 10 million issued utility patents. an issued patent in less than six months, cutting the usual wait time by over a year. countries, which require patent applications to be filed before any disclosure. handbags and eyewear, as well as packaging for cosmetics and fragrances. Additionally, design patents are often used for design elements that can be translated to multiple garments, such as distinctive top stitching, stud patterns, and pocket styles. The U.S. recently became signers of the Hague Agreement Concerning the International Registration of Industrial Designs. The Hague Agreement is an international registration system that offers the possibility of obtaining protection by filing a single international application in a single language. This can be done either directly with the World Intellectual Property Organization (WIPO) or indirectly through the USPTO. While patents are territorial, the Hague Agreement enables the application process throughout the participating countries with a single set of documents. The applicant selects the appropriate countries and regions where the product will be manufactured, distributed or sold; each jurisdiction applies its own law and rules to the application, resulting in multiple registrations. The second type of patent available is a utility patent, which is the most familiar type of patent. Utility patents are useful for functional garments, such as maternity garments, undergarments that shape and uplift body parts, and infant clothing, as well as footwear and eyewear. Related areas for patenting are high-performance fabrics, such as deodorizing fabrics, waterproof and flame-resistant fabrics. Functional athletic attire, such as golf gloves and cleated shoes, is also protected by utility patents. The integration of technology into clothing, such as electronic sensors in shoes and heart rate monitors in shirts, is another area showing increased numbers of utility patents. The USPTO is a participant in the Patent Cooperation Treaty and the Paris Treaty, both of which permit U.S. utility patent applicants to use their U.S. patent application as a basis for applications throughout the world. Compared to design patents, utility patents are significantly harder to obtain, take longer to proceed through the examination process (on average 24 months) and last longer. Utility patents last 20 years after the date of filing; they require periodic payments to the USPTO in order to maintain the patents in force. Generally, the application for a utility patent has about a 10% chance of being initially accepted; most applications are rejected at least once. This rigorous process is considered to produce a higher quality, valid patent. About 75% of the applications overcome the first rejection and continue on to become patents. Accordingly, the application for a utility patent inevitably requires additional work by the patent attorney; the cost of overcoming the rejection must always be included in the prospective patent holder’s budget. Savvy companies file many applications to protect their valuable intellectual property. For example, in one week in August 2018, NIKE® was granted 17 patents: six utility and 11 designs. Not surprisingly, many of these were for athletic shoes, but some were for athletic wear. One of the utility patents, Knitted Component with Adjustable Knitted Portion, protects a new weave for stretchable fabrics. Valentino s.p.A. received a design patent for men’s dress shoes, showing that designs are applicable to all types of shoes, not only athletic footwear. Louis Vuitton Malletier and Christian Dior Couture both received design patents recently. The Christian Dior Couture patent is for sunglasses and the Louis Vuitton Malletier patent is for a distinctive package. Both Hanes and Under Armour received utility patents for brassieres. These six examples were selected at random from a single issue of The Official Gazette for Patents, where the USPTO lists all the patents issued for that one week, and show the range of patents in the fashion industry. Upon closer examination, Louis Vuitton’s design patent for a package is an example of how patents can strengthen branding. While trade dress, such as packaging, is protected in the United States by trademark law, it must be in use for at least five years and achieve secondary meaning, such that consumers can recognize the source of goods. A design patent can become available to a brand in less than two years. SPANX® has design patents for how their products are displayed at retail and they include a utility patent and a design patent. Which type of patent is better for the clothing designer? As noted, the utility patent lasts longer, generally providing around 17 to 18 years of effective protection versus 15 years for a design patent. The utility patent costs more to obtain, takes longer to issue and requires periodic payments. Each type of patent protects different aspects of an article, so the answer lies in what is novel about the garment: its appearance or how it is used. When filing any type of patent, a designer must take into consideration not only the novelty of the garment but also how patent protection fits into his or her overall business and branding strategies. Ultimately, these activities should be fully integrated into business operations and the patent process. Patricia Werschulz is an intellectual property lawyer and a registered patent attorney at Werschulz Patent Law. Sandra Holtzman is chief marketing strategist at Marketing Cures, a marketing, communications, public relations, digital and market research company. Reprinted with permission from the September 6, 2018 edition of The New York Law Journal © 2017 ALM Media Properties, LLC. All rights reserved. Further duplication without permission is prohibited. ALMReprints.com – 877-257-3382 – [email protected].